– Put millions of dollars back in your business? – Free up your IT staff to focus on more strategic projects? – Eliminate downtime and its risk to your business? Digitally transforming your business is going to require serious economic transformation within your data center. To change the wheels on the bus while it’s rolling, it’s imperative that you get the most out of the investments made in your infrastructure and people. 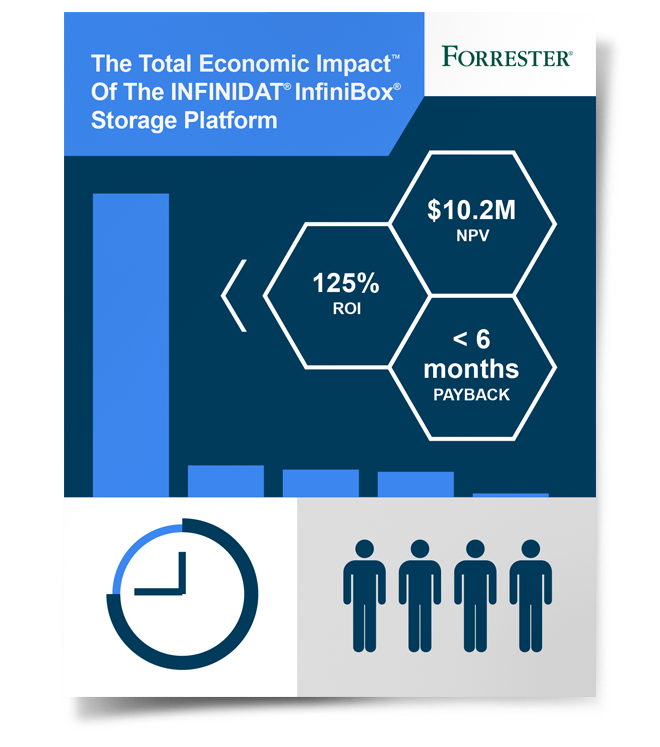 Many large enterprises and Cloud Service Providers are finding they get more value out of their IT resources with InfiniBox, the gold standard for enterprise data storage. 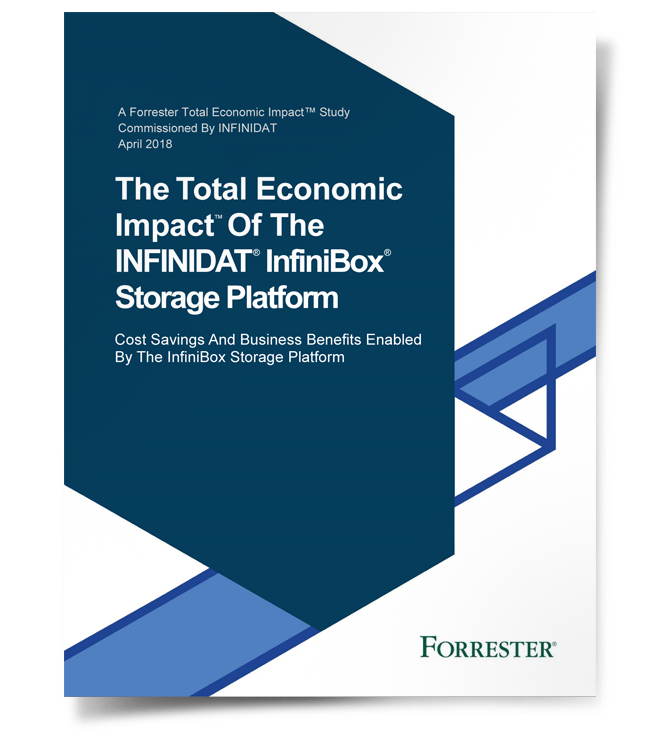 To help organizations better understand the benefits and costs associated with InfiniBox, INFINIDAT commissioned Forrester Consulting to conduct a Total Economic Impact™ (TEI) study In April 2018. 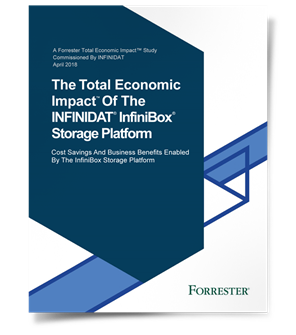 Forrester interviewed current InfiniBox customers across several industries and geographies. 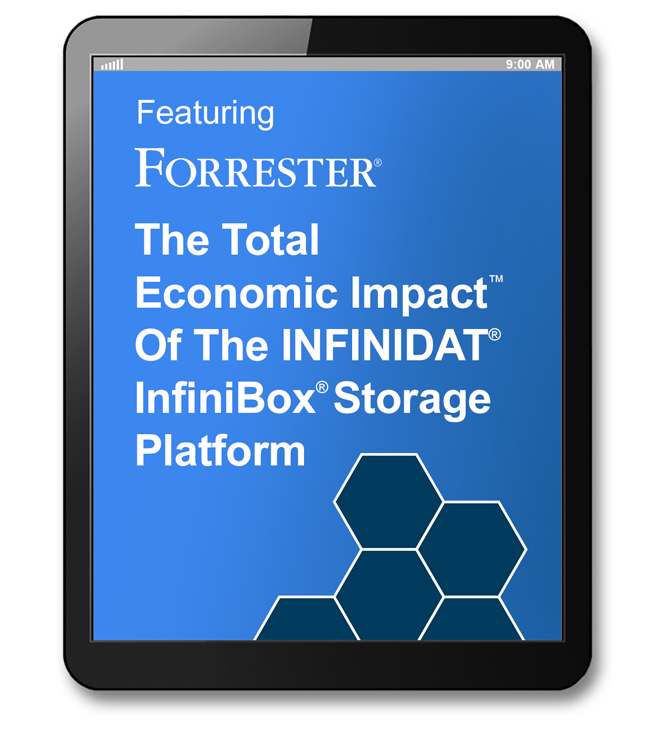 With the information gathered, Forrester uncovered some remarkable results based on a composite organization.